First off, I wanted to let you guys know about my BIRTHDAY bundle. Yes, it's all birthday wordarts, but it's in celebration of my Birthday, too! I'll be 35 on Sunday (12/12)! Yeah me! 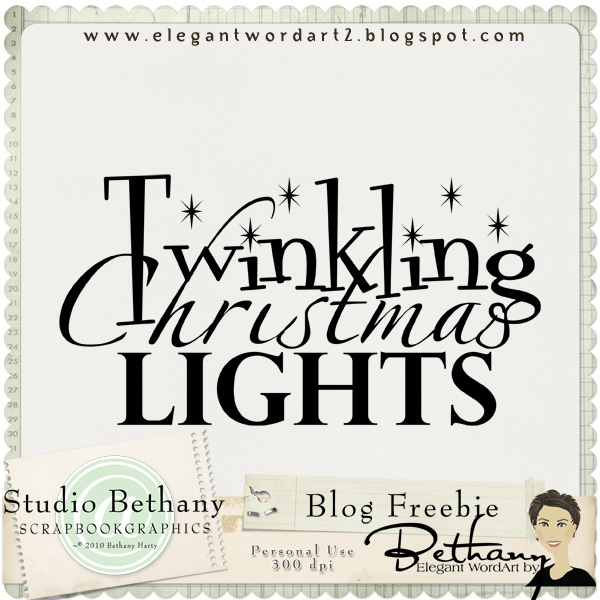 Click on the Bundle preview below to go to my store and pick it up 12 Birthday WordArt Packs for only $8.00. That's less than $0.70 a wordart pack! Sa-weet! Anyway, they got out the door and to the bus just fine. I cleaned up a bit around the house, and did some of the dishes. I'd baked yesterday, and there were pans and a little bit of a mess on a counter top that I cleaned up. Looked much better. Jim was hanging in the living room, and Jake was doing school, and Captain America was sleeping in. He got up around 9am, we started talking about our plan for the day. It was a loose plan, and needed solidifying up a bit. At around 10am, Kari texted to see if Josephine could come and hang for an hour while she ran to the grocery store. We still hadn't left, so I said it would be fine. She and Jake sat on the couch and watched a Christmas Movie, while Captain America and I helped Jimmy get ready for school. Did I mention that Captain America had the day off today! Woohoo! Anyway, Jim got a hair cut, and a shower, and looked pretty good for school. Captain America and I walked him to the bus stop, and ended up chatting with Maggie for a while after the bus left. We went back home, and started packing for our trip. We found maps to the temple, and called about what times it was open. We decided to drive most of the way there tonight, then stop at a hotel for the night, and then we could drive the last little bit to the temple in the morning and be there bright and early. That way, it's a temple trip AND a birthday trip - hehe :)I'm not sure what our plan will be tonight, I'm letting Captain America surprise me for my birthday :) Should be a good time. I can't get this picture to rotate on Facebook - grrr. This is us before we left the house for lunch. Isn't their Christmas Tree AWESOME!!! After eating, we came back home, continued packing, and were soon ready for the road. Jim went home with Maggie and little Jake after his bus, and soon Tom and Leo were home from the bus. They stopped by our house to pick up something, then walked over to Leo's house. (Kari's son). They're about 3 blocks away. We stopped in Deming for Gas and Dinner. And yeah, to show everyone JUST how classy we really are, here's our dinner, purchased at the Walmart deli, then ate in our car - ROFL! 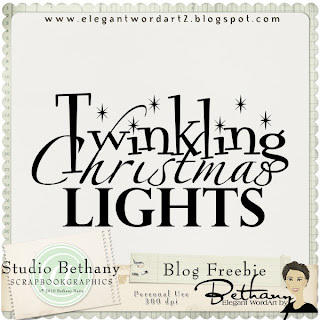 Love, love, love the wordart, but Christmas is misspelled. Could you republish? Thank you so much for this post. 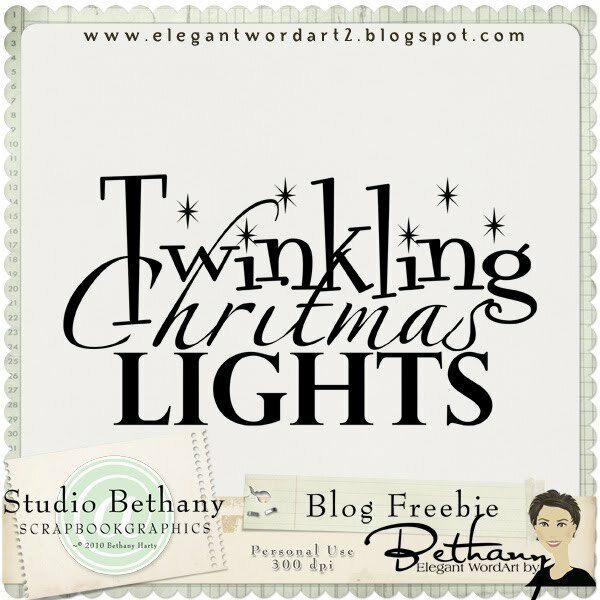 I want to let you know that I posted a link to your blog in CBH Digital Scrapbooking Freebies, under the Page 3 post on Dec. 11, 2010. Thanks again. Fixed it and uploaded a new version!!! WHAT? you went the Gila Valley temple and didn't tell me you were gonna be in town? omgosh.. I missed a chance to meet you Bethany! and Lordsburg? lol did you miss it as you blinked? Let me know next time you come this way! Thanks for today's wordart. Gorgeous photo of the sunset - have fun on your trip. Here I was just browsing your shop to see what I wanted to treat myself with as a birthday gift but not sure if I should spend any $$ with how tight it is around our house and then see your post about how tomorrow is your birthday -- mine is today. Hope you have a great weekend and special day!! Hope you have/had a great birthday! Thanks so much for sharing! Happy Birthday, Bethany! Enjoy your trip. Th♥nks for sharing and H♥ppy Holidays! p.s. Hope you had a wonderful birthday!